It was an unexpected treat when this arrived on my Kindle, and I devoured it as soon as I got it. It may be short, but it packs a punch. I loved how the initial thoughts are of concern, but the honesty of Luther and Xavier shine through, and reassure the reader. Alec was most definitely down on his luck, but wow does it turn around for him – and without a doubt, he deserved it. I really suggest you get a copy, find a quiet place to sit and read, and enjoy. 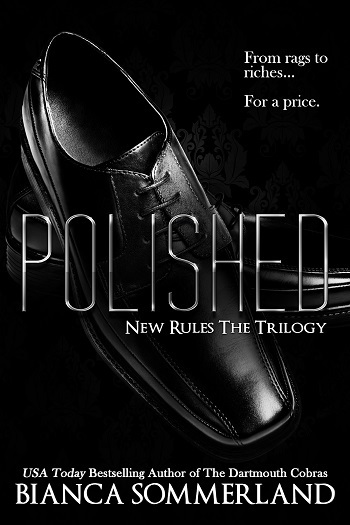 Ruthie was provided a free copy of Polished (New Rules #1) by Bianca Sommerland to read and review as part of the author’s review team.